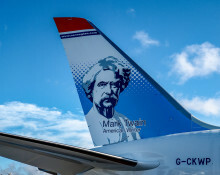 In less than a week, Norwegian will carry out its most important flight of the year: the annual Fill a Plane campaign flight with UNICEF. This time we are heading to Chad, with a brand-new Boeing 737 MAX that has just been delivered from the Boeing factory and will be filled with emergency aid in both in the cargo belly and inside the plane itself. 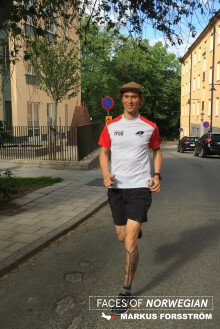 Meet Roger Handeland, Licensed Aircraft Engineer and 737 Technical Rep for Norwegian based in Stavanger, Norway, who will participate in the NYC Marathon in November. 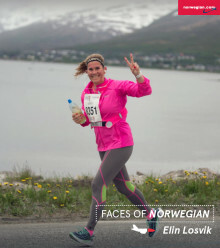 Meet Elin Losvik, Supervisor Booking Services for Norwegian based in Tromsø who will participate in the NYC Marathon, running on behalf of UNICEF to raise money to support the organization’s effort worldwide. 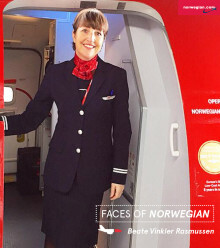 Meet Beate Vinkler Rasmussen, Senior Cabin Crew for Norwegian who will participate in the NYC Marathon, running on behalf of UNICEF to raise money to support the organization’s effort worldwide. 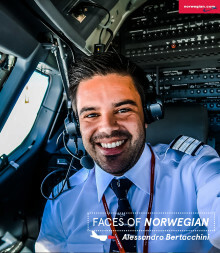 Meet this month's 'This Is Your Captain Speaking' pilot, Captain Tyson Powers. 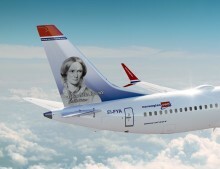 Norwegian Air has been certified as a 4-Star Low-Cost Airline by the renowned SkyTrax World Airline Awards, the leading international airline rating system classifying airlines by the quality of front-line product and staff service standards as voted on by the traveling public. 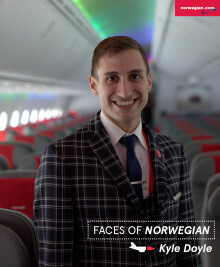 Meet Alessandro Bertacchini, First Officer for Norwegian based in Alicante and will represent Norwegian and UNICEF running the NYC Marathon. 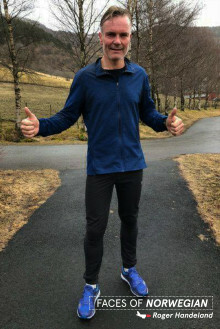 On November 4, nine Norwegian employees from across Europe will participate in the NYC Marathon, running on behalf of UNICEF and raising money to support the organization’s effort worldwide. Each runner is committed to fundraise $4000 to UNICEF USA, which will help save hundreds of children living in crisis areas around the world. 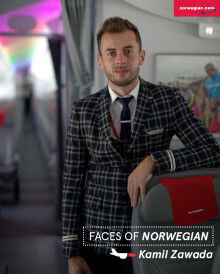 Meet our February Face of Norwegian, Kamil Zawada. 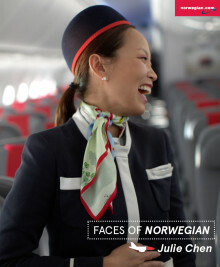 At Norwegian, we are committed to our mission to bring relief to those who need it the most. 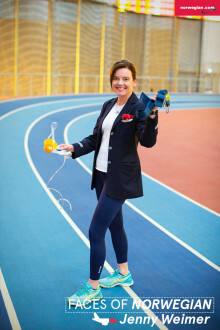 This is why Norwegian support UNICEF’s annual end-of-year fundraising campaign, Give Hope. Meet Manuel Fernandez. 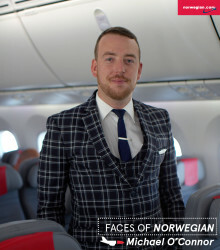 He was selected out of hundreds of applications and nominations to work on one of Norwegian's most important flights ever, Mission Yemen. 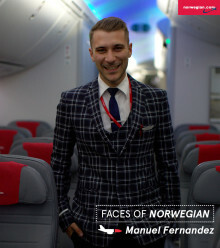 We sat down with Manuel to learn more about his life in the sky, and his hidden talent may just surprise you!